Prostate cancer and ovarian cancer. Calcification in arteries (which increases your risk for a heart attack or stroke). Cut out, or cut down on dairy products from your diet. Eat more fruit and vegetables (which helps you retain calcium). What’s being discussed here is consuming animal milk products, so please don’t confuse any of the information on this post with infants drinking breast milk, which of course is nutritionally the best start in life. Drinking milk during childhood and adolescence is a big part of western culture – it’s been drummed into most of us that we need calcium from milk and dairy products to make strong bones, but should we really be continuing to drink milk from hormone-pumped-grain-fed-cows beyond the weaning stage? I know it goes against the grain to think that milk might be bad for you, but there is a lot of evidence out there that confirms this to be the case; sadly my bubble about supposedly ‘nourishing and healthful’ milk has been well and truly burst. The ‘no to milk’ school of thought tells us that the main reason to avoid milk is because it increases insulin resistance (which is a precursor of diabetes), and insulin resistance is one of the key factors underlying most diseases of Western civilisation (i.e. heart attacks, strokes, dementia, cancer etc…). Most of us have the impression that drinking milk makes your bones stronger, but there is a fair bit of evidence to the contrary – a study from Harvard Medical School on 77,000 women showed that drinking milk doesn’t protect against hip or forearm fractures; and a more recent study, also from Harvard, on 72,000 women showed that neither milk nor a high-calcium diet reduced the risk of fractures later in life. Milk has a high acid load which can lead to you losing calcium from your bones. I have to admit that I was initially very sceptical of the fact that milk might not be protecting my bones and could also be increasing my risk for diabetes, so I looked long and hard for evidence to refute these findings – partly to assuage my guilt for incorrectly telling my children to drink milk for the last couple of decades, but mainly to find out whether milk could actually be doing all of us harm. So how exactly could milk be increasing ones risk for diabetes? Surprisingly, it turns out to be some of the proteins, not the lactose or fat in milk, that are the culprit. And by the way, switching from whole milk to skimmed milk won’t make any difference – they both have the same amount of protein. Those very same milk proteins* that are helping babies to grow and put on weight (as they should) now seem to be helping adults to grow, albeit in the wrong direction. Some of these milk proteins (also known as BCAAs*) have been dubbed ‘fast’ proteins by the scientific community because they get absorbed and metabolised almost as quickly as if they were mainlining them through an intravenous infusion – a superb evolutionary strategy for babies who need to grow rapidly, but possibly not so good for the rest of us. And where is the evidence to back up this contentious idea that milk is bad for you? Let’s start with a study done in 2005 on 8-year-old boys; 24 boys were given an extra 53g of either milk protein or meat protein every day for a week – this study showed that the insulin resistance of the milk-fed group increased. Alarmingly, the fasting insulin* levels doubled in the milk-fed group after just 7 days, whereas the insulin levels of the meat-fed group were unchanged – quite a dramatic and definitely significant difference. Now for some more evidence to back up this small, but very well conducted pilot study. A much bigger study from the University of Copenhagen on 200 adolescents showed that a high milk consumption was associated not only with increased insulin resistance, but in this case also an increase in BMI – so a double whammy here – drinking so-called ‘wholesome and healthy’ milk during late childhood and adolescence makes us more prone to diabetes and obesity in later life. 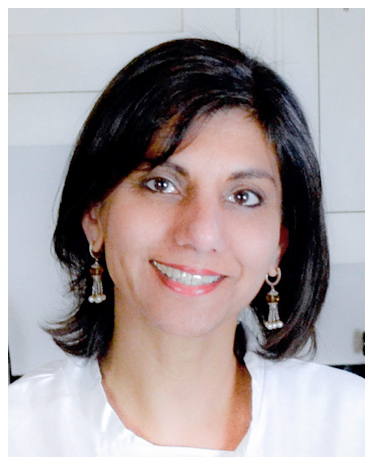 On with the evidence – a study done in 2013 on 69 healthy children and adolescents at Harvard Medical School showed that high blood levels of BCAAs (the ‘milk proteins’), were associated with insulin resistance 18 months later; this study also showed that obese people have difficulty metabolising BCAAs*, so any extra dietary intake of BCAAs from milk could possibly compound their obesity problems. Another conclusion drawn from this study was that Type 2 diabetes might have its origins in early life – high levels of BCAAs might be damaging the pancreas cells that produce insulin. Why do the cheese eating French live long? You are probably now wondering why it is that some people are fine and live long healthy lives on high dairy diets (like the French! ); an honest answer would be that currently nobody really knows, although one can speculate that it might be due to other influences from their lives and diets, as well as epigenetic factors. For example, one study showed that the harmful effects of milk proteins depends on how much exercise people do – this could also explain why there are so many conflicting studies on milk – maybe some studies don’t take exercise status into account? The French are generally speaking fairly active and slim compared to us Brits on this side of the channel, although even the French are catching up with the Americans and the rest of the world in the obesity stakes. Another putative protective mechanism could be due to the high consumption of organ meats and smelly cheeses by the French; those fetid fermented cheeses and unethical foie gras are high in vitamin K2, and vitamin K2 is thought to be protective against cardiovascular disease. So if you are going to eat dairy products, make sure it is a pungent, mouldy French cheese, (and stay active!). A further reason why the high-dairy-consuming-French live long could be because of the prodigious amounts of dark chocolate that they eat – dark chocolate is a good source of resveratrol, which is the same ingredient that supposedly gives red wine its life extending benefits. As we are on the subject of the French, I’ll squeeze in one of my favourite stories – it’s about a French woman by the name of Madame Calment, who was the longest-lived person. Her diet included a kilo of chocolate every week; she also smoked a couple of cigarettes every day from the age of 21 until she gave up at the ripe old age of 117 (I think I’ll carry on with my monthly cigarette!). Although apart from the smoking she had a very healthy lifestyle – she took up fencing at the age of 85 and carried on cycling until she was 100. Most importantly, she lived independently until she was 110, and was with-it until the very end; she passed away at the age of 122 years and 164 days. But just because some smokers live long healthy lives, it doesn’t mean we should all take up smoking – at the end of the day it all boils down to statistics, and statistics resoundingly show that smoking is extremely harmful to health. Enough digressing about smoking and the French – let’s finish off this discussion on milk. Due to the nature of dietary studies, it’s almost impossible to be 100% sure about anything; there are almost as many studies showing that milk is good for you as there are showing that it isn’t. But one of the biochemical facts that convinced me that milk might be harmful, is that milk proteins are found in higher levels in the blood of people who are obese or who have insulin resistance (regardless of how much milk they drink). I know that association does not mean causation, but when obese people have stomach bypass surgery (an operation to help them lose weight), the levels of milk proteins start coming down as they lose weight and as their insulin resistance improves; all this suggests that there could be more than just an association between milk proteins, obesity and insulin resistance; it may be that high levels of these proteins contribute to the causation of diabetes and weight gain. Milk proteins might be pushing certain people closer towards becoming diabetic by virtue of the fact that they cause an exaggerated insulin response in obese subjects, an increase in the body weight of overweight adolescents and also a deterioration of insulin resistance in people who are already insulin resistant. Whether milk proteins tip you over into becoming a full-blown diabetic or not seems to depend on how much exercise you do, as well as how overweight and insulin resistant you are in the first place. 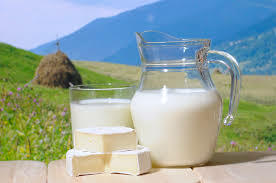 The other biochemical reason to reduce your dairy intake is that the whey proteins in milk – leucine, isoleucine and valine – activate the mTORC1 pathway, and activation of this pathway is implicated in aging. (Inhibition of the mTORC1 in other species increases their lifespan). After overcoming my initial prejudice against the ‘no to milk’ camp, I have concluded that at a biochemical, physiological and statistical level they are probably right. Unfortunately, I do miss dairy products – black tea and coffee aren’t a problem; it is double cream and cheese that I yearn! I have to admit to having the occasional piece of cheese – the guilt is partly relieved by knowing that fermented cheeses are high in vitamin K2 – and high levels of K2 might possibly be one of the reasons why the French seem to be immune to the harmful effects of dairy products – more on this in the post on vitamin K2. BCAAs = milk proteins = Branched chain amino acids = milk proteins. In the scientific literature ‘BCAAs’ in milk are referred to as ‘milk proteins’, and specifically they are: Leucine, Isoleucine and Valine. Of all the animal proteins, whey proteins from milk contain the highest amount of leucine. Posted in Health & Nutrition, Home Page and tagged dairy.